Asian food, at its core, is generally very healthy. Most times we load it down with rice, egg rolls, crab rangoon and more carb-filled options that end making what was once a fairly healthy meal into a carb-loaded nightmare. Skip the opportunity to make bad food choices altogether and just make your own Asian food at home! This Honey Sesame Chicken recipe is a favorite in our house and not only is it good, it’s good for you! 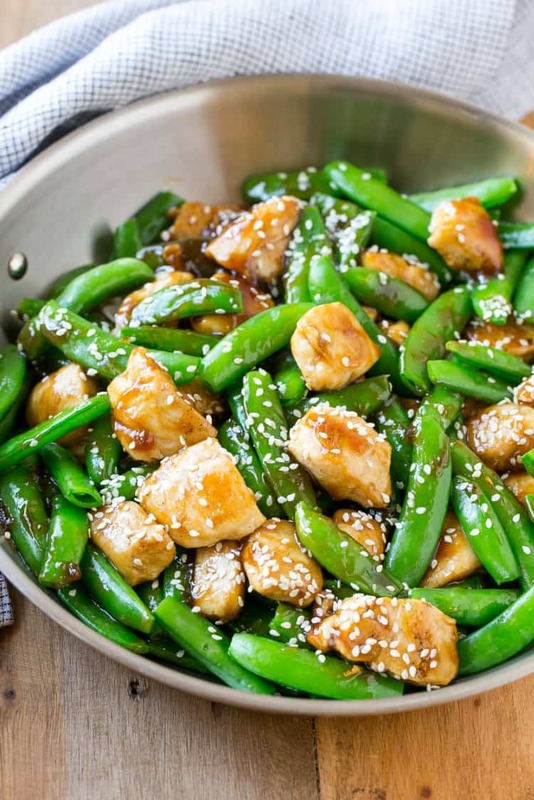 Honey and sugar snap peas keeps this recipe sweet like your mouth expects, without the help of refined sugar and added carbs. Heat 1 teaspoon of oil in a large pan over medium heat. Add the snap peas and cook for approximately 2-3 minutes or until vegetables are tender. Remove the snap peas from the pan; place them on a plate and cover. Season the chicken pieces with salt and pepper and add them to the pan in a single layer - you may need to do this step in batches. Cook for 3-4 minutes on each side until browned and cooked through. Add the snap peas back to the pan and cook for 2 more minutes or until the vegetables are warmed through. In a bowl whisk together the chicken broth, honey, sesame oil, garlic and soy sauce. In a small bowl mix the cornstarch with a tablespoon of cold water. Pour the sauce mixture over the chicken and snap peas; cook for 30 seconds. Add the cornstarch and bring to a boil; cook for 1 more minute or until sauce has just started to thicken. Serve immediately, topped with sesame seeds. 0 Response to "HONEY SESAME CHICKEN"